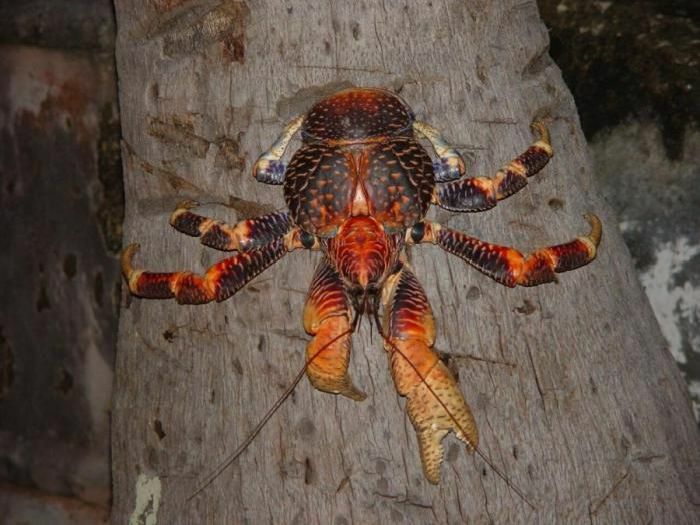 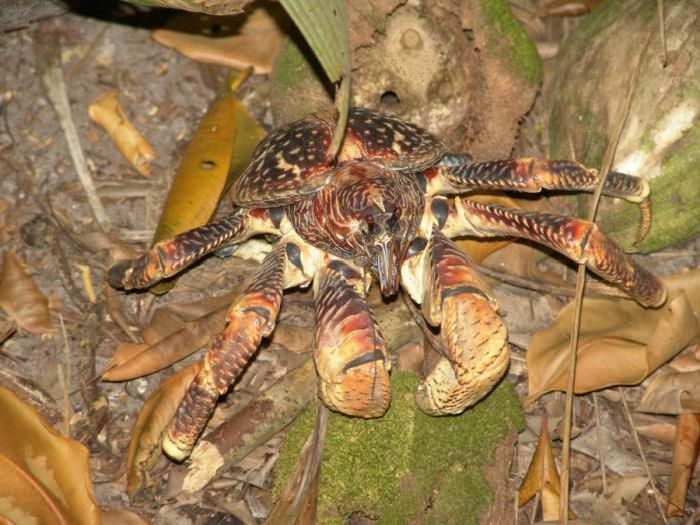 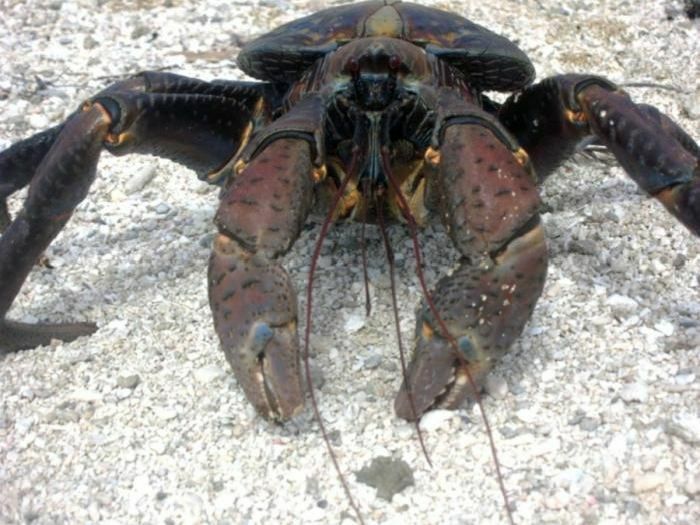 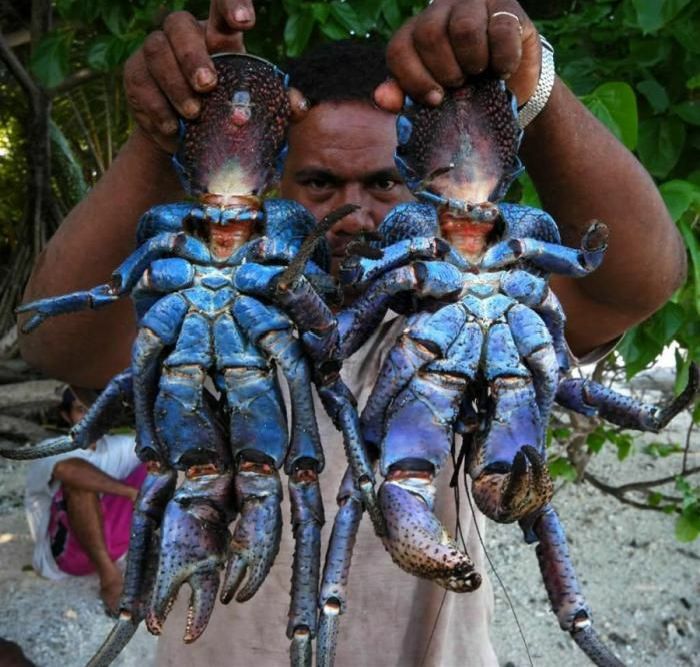 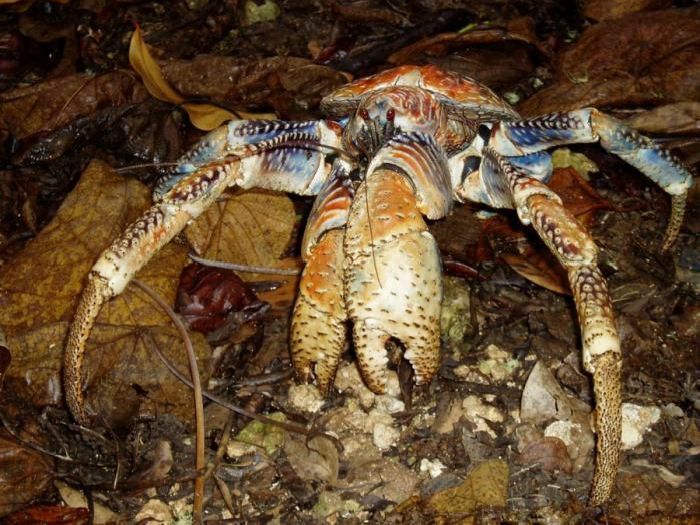 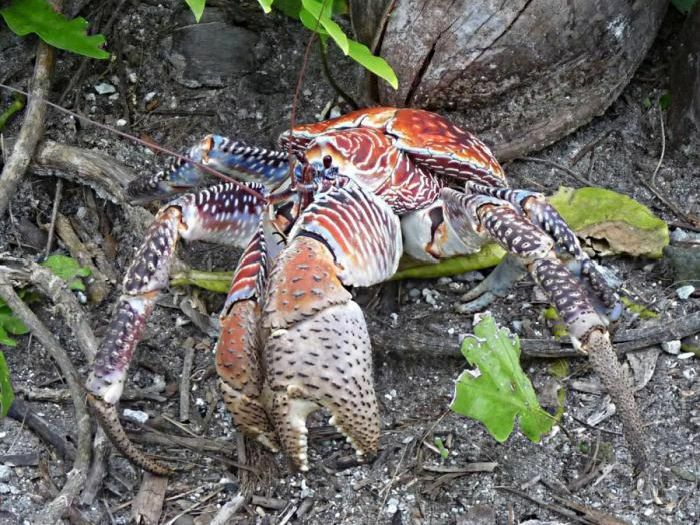 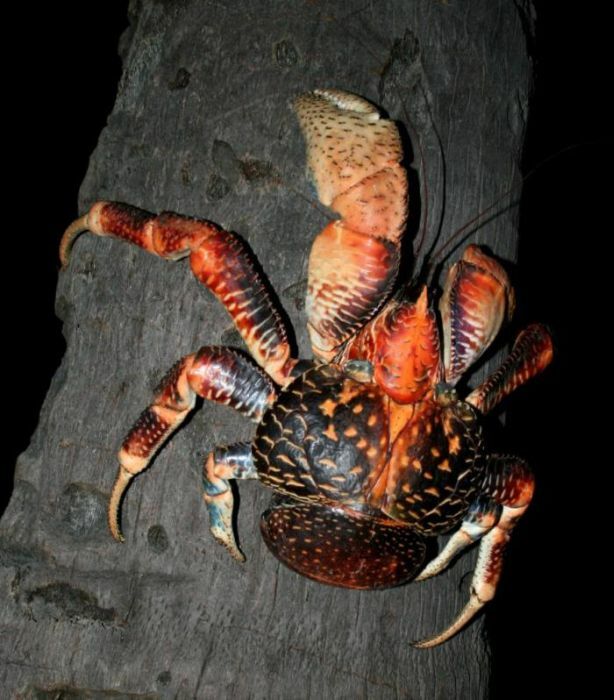 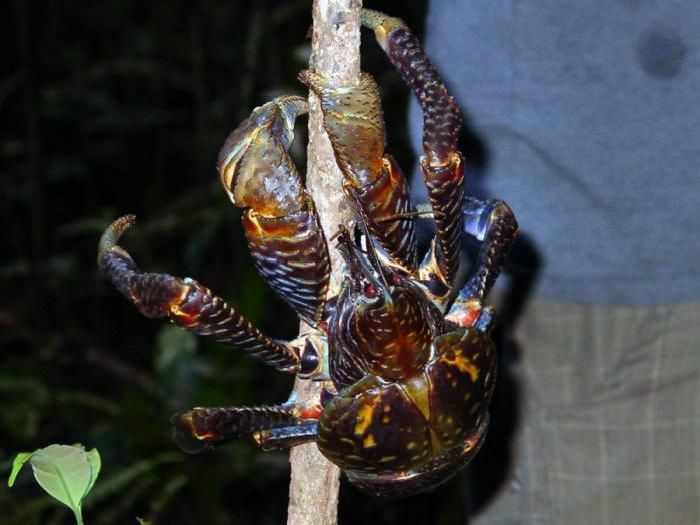 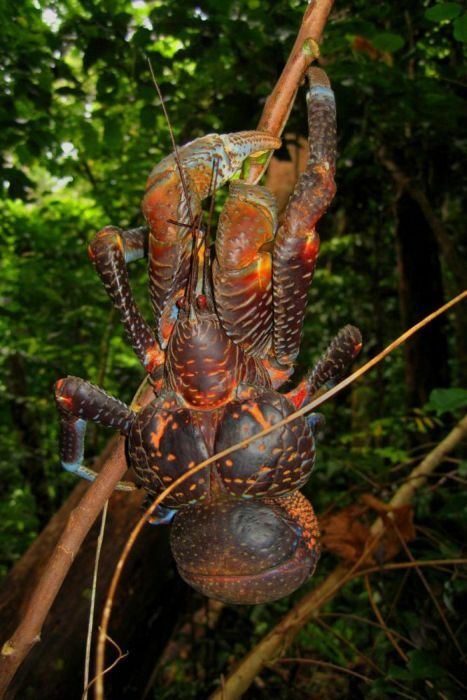 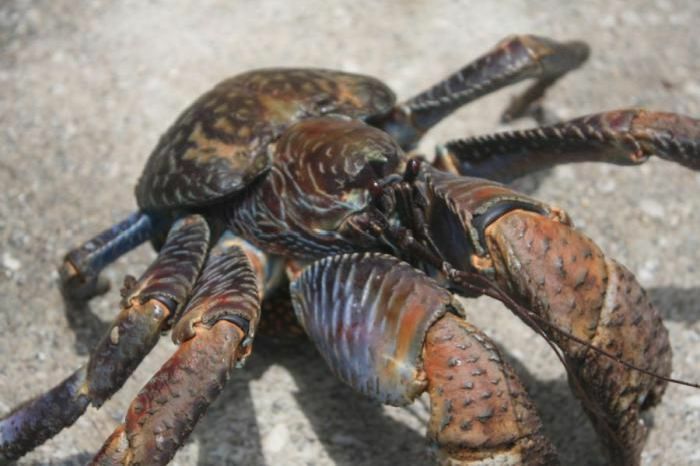 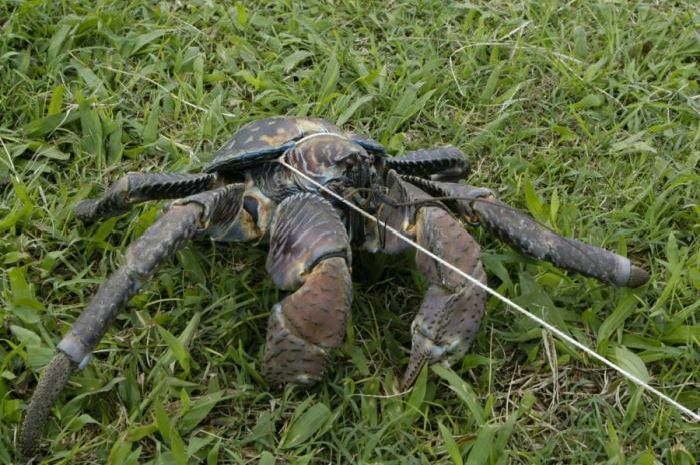 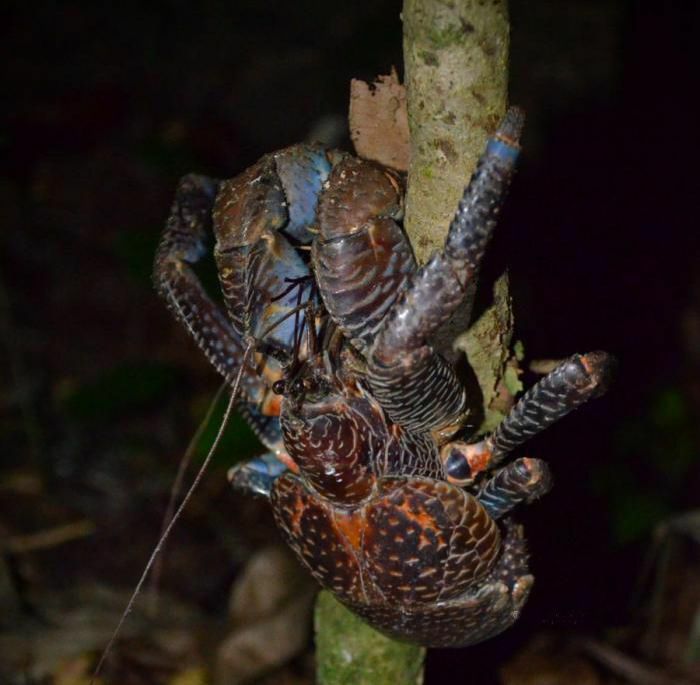 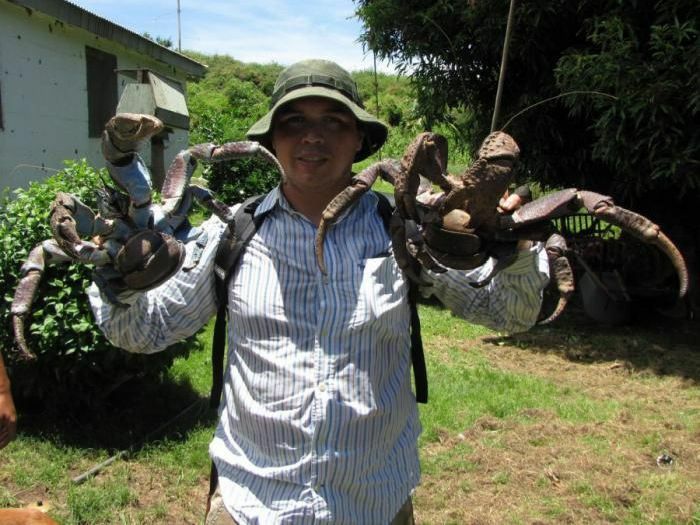 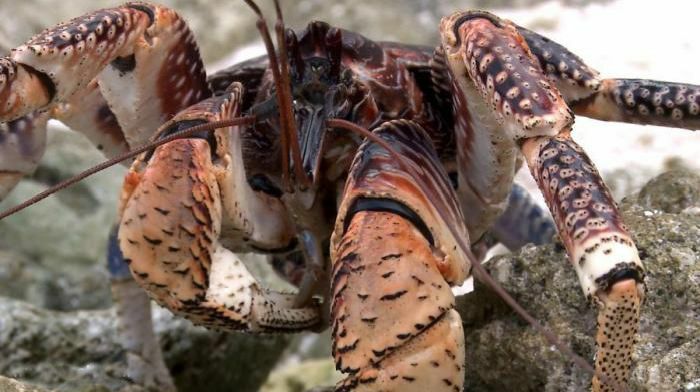 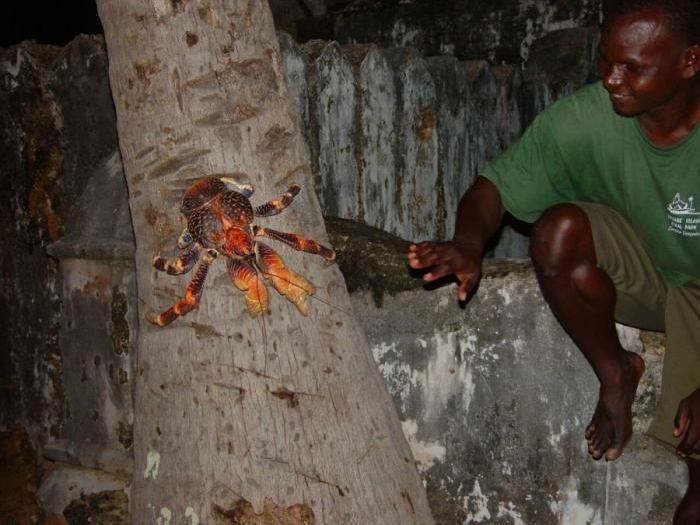 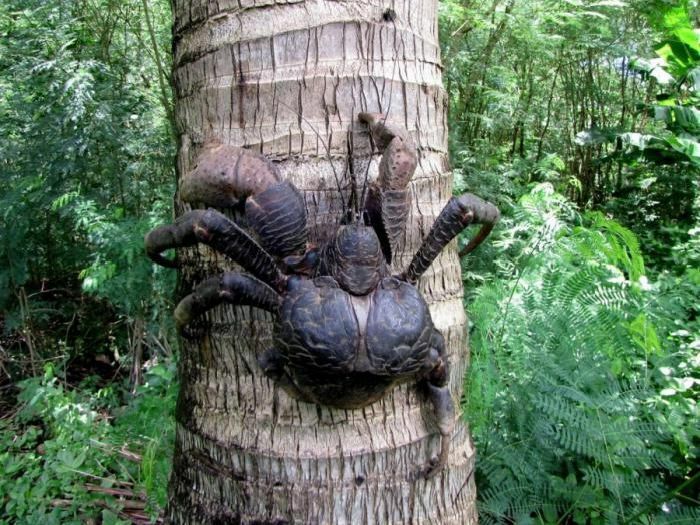 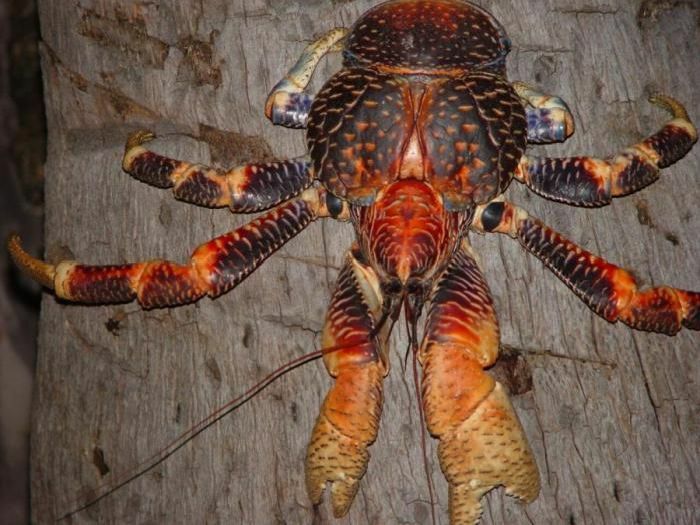 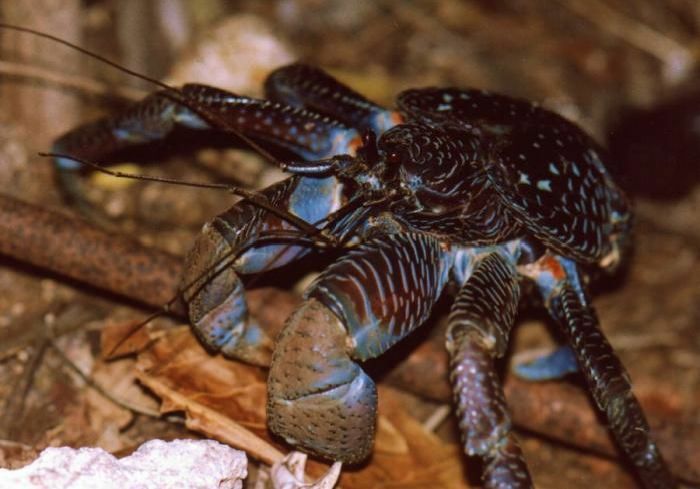 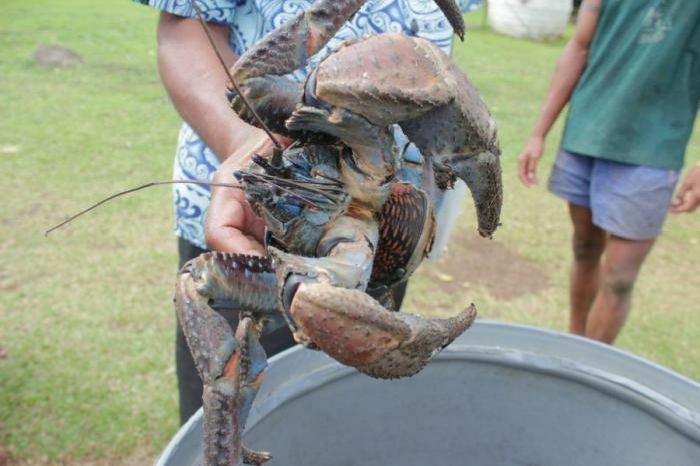 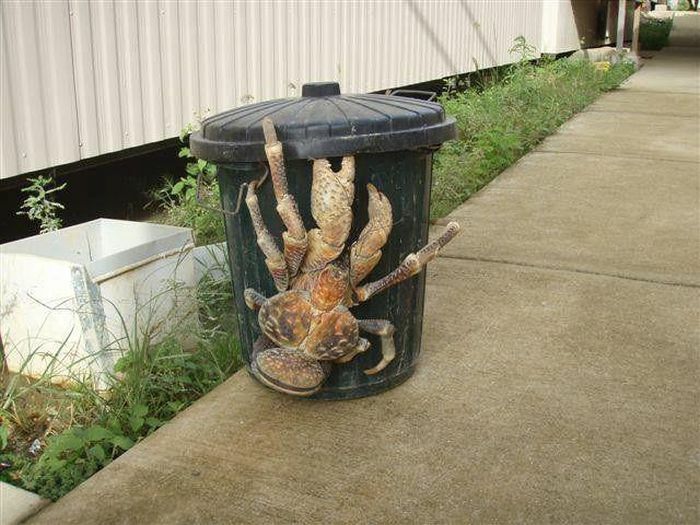 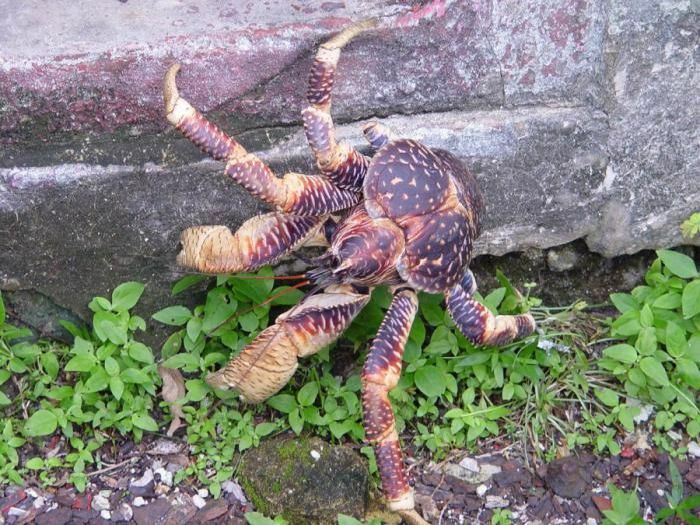 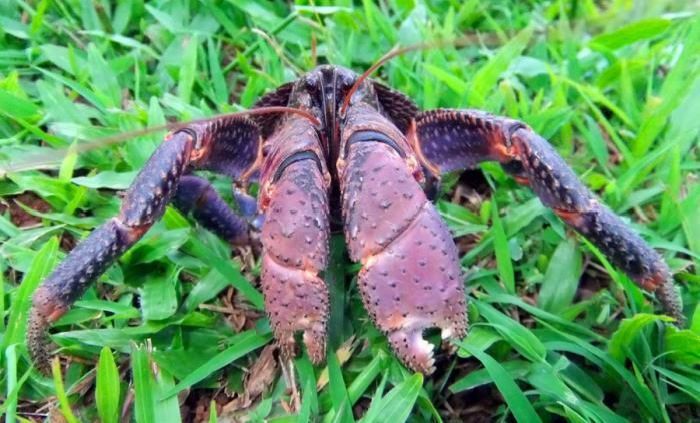 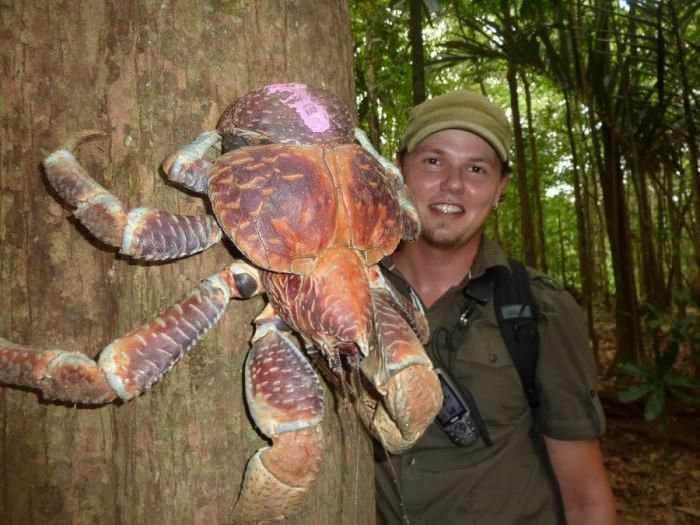 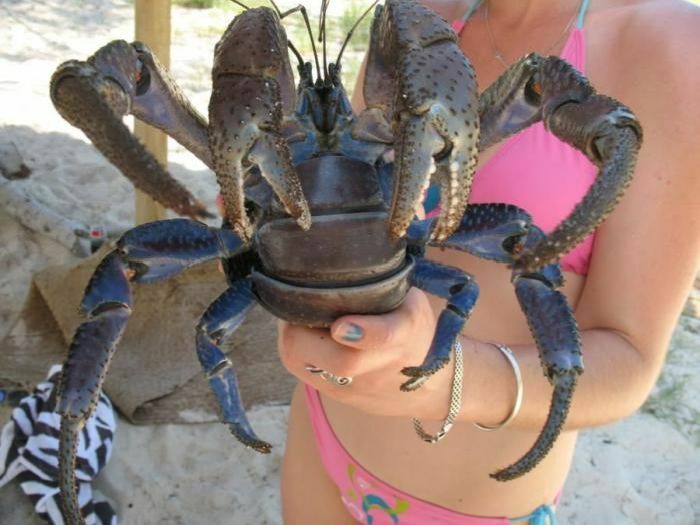 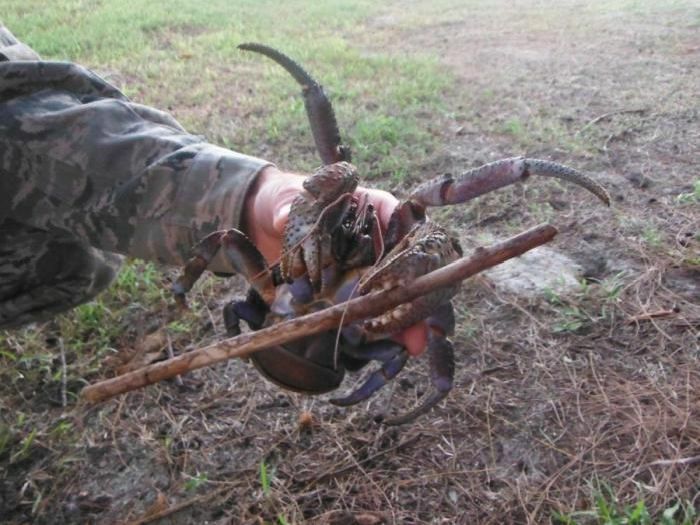 The coconut crab is the largest land-living arthropod in the world. 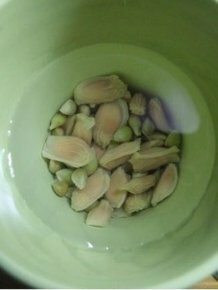 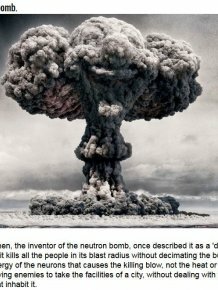 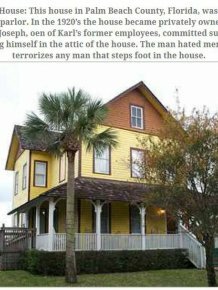 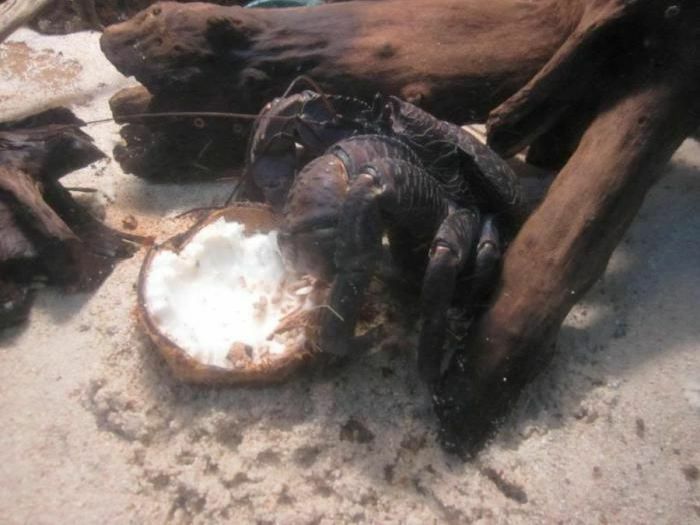 It is found on islands across the Indian Ocean and parts of the Pacific Ocean as far east as the Gambier Islands, mirroring the distribution of the coconut palm; it has been extirpated from most areas with a significant human population, including mainland Australia and Madagascar. 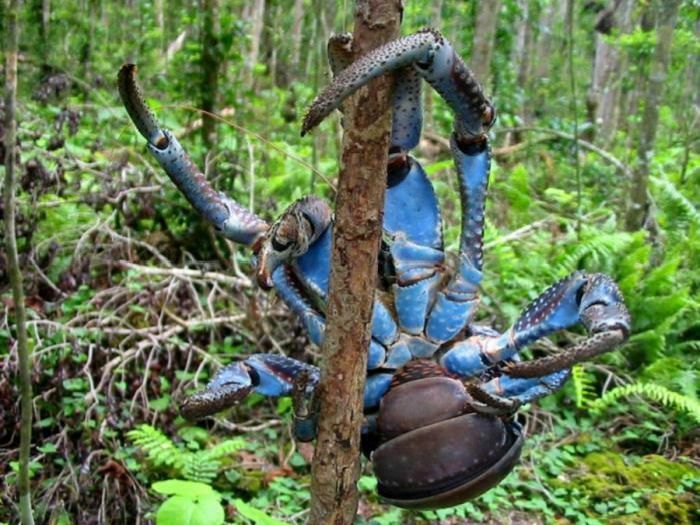 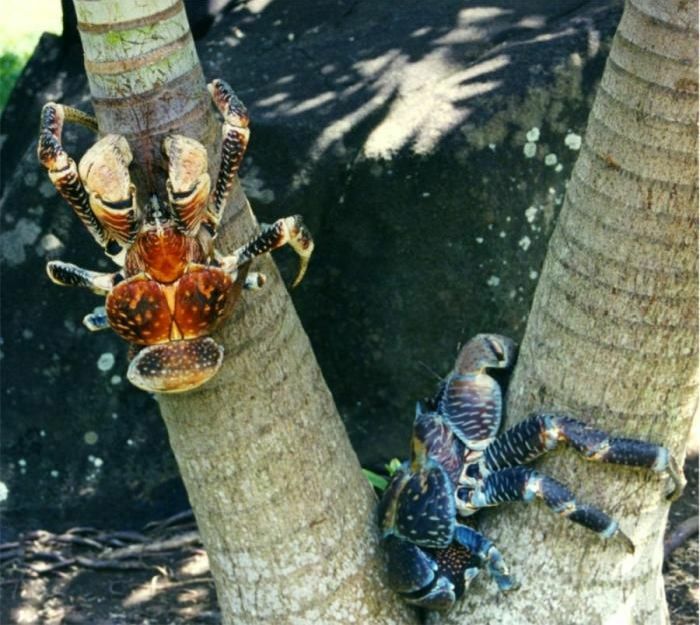 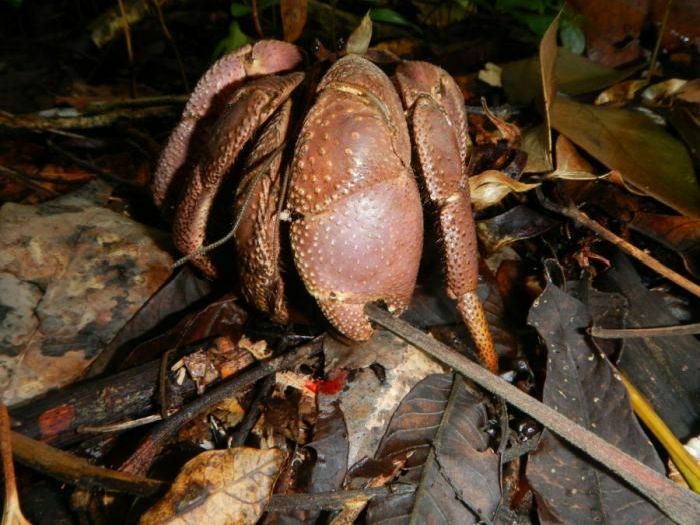 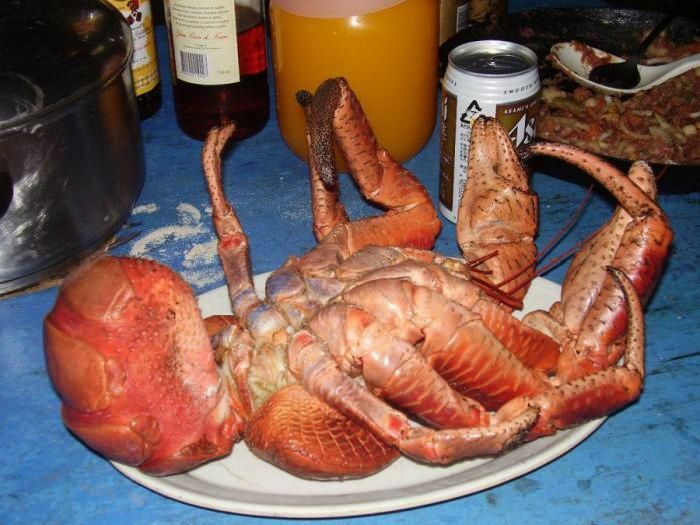 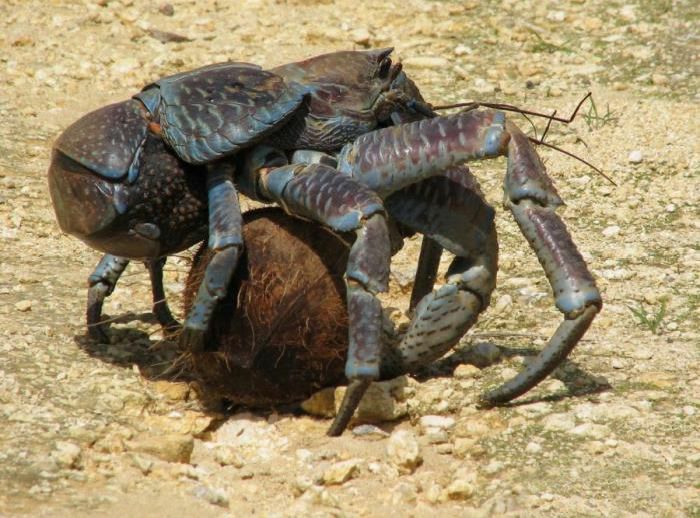 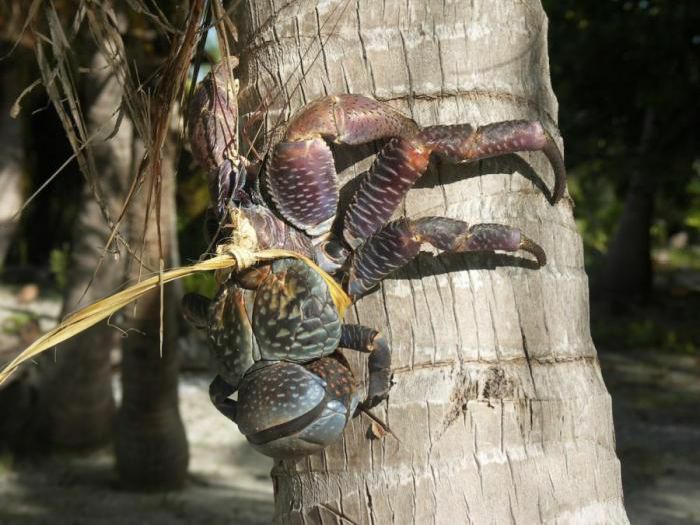 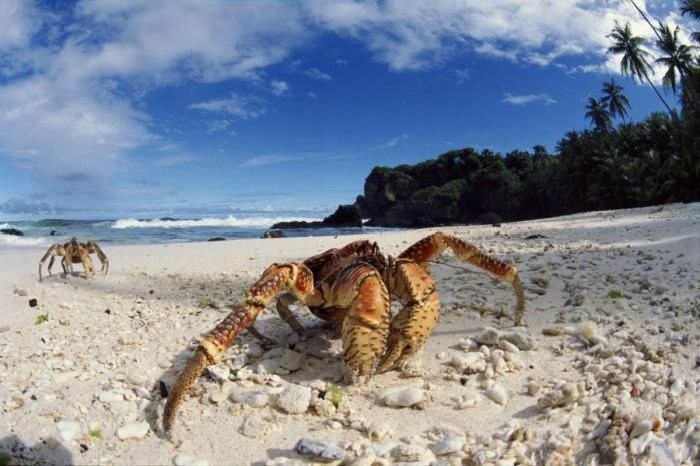 The diet of coconut crabs consists primarily of fleshy fruits, nuts and seeds, and on the pith of fallen trees.